A variety of fruits is important to your diet if you want to benefit from as many nutrients as you can. Not only will they help you stay trim, but also fruit can help you stay much healthier, and prevent colds. While many offer similar nutrients, they each have their own unique vitamins and minerals. Here are five fruits you should incorporate into your diet. Blackberries might be small, but they are packed with nutrients. They are a source of vitamins C and K as well as fiber, flavanols, magnesium, antioxidants, and manganese. Antioxidants help to protect the body against cancers by fighting free radicals that damage cells. Magnesium helps to produce energy, prevent migraines, and calm nerves. Vitamin C plays many roles in the body. It keeps skin looking young and healthy. It promotes eye health and strengthens the immune system. Vitamin C also helps the body to absorb iron and heal wounds. Pineapple is a source of vitamins C, B1 (thiamin), and B6, and manganese, potassium, magnesium, copper, and bromelain. B6 helps to improve mood, support brain function, and help to treat anemia. Copper is a trace mineral that is especially important to the liver, kidneys, and brain. Bromelain is an anti-inflammatory, which helps to reduce swelling in the body. Swelling can lead to pain, arthritis, and even ulcers. Bananas are helpful for improving mood. They contain tryptophan, which converts to serotonin. Serotonin helps to fights depression and anxiety and reduce mood changes. Bananas also contain vitamins A and B6, potassium, and antioxidants. Vitamin A plays a role in eye health. It helps to improve night vision and prevent macular degeneration. Potassium is important in producing energy, reducing blood pressure, preventing stroke, and provide water balance. Pears are a good source of folate, boron, magnesium, and vitamins K and C. Boron is a mineral that plays a role in estrogen production, bone health, and prevention of arthritis. Folate (also known as folic acid and B9) is important for preventing birth defects such as spina bifida. A deficiency in folate may cause grey hair and fatigue. Vitamin K plays an important role in helping wounds to heal. It also helps to transport calcium throughout the body. Blueberries are one of the most nutritious berries you can eat. They might be tiny, but their benefits are not. Blueberries contain more antioxidants than most fruits and vegetables. Blueberries may also play a role in lowering blood pressure, preventing heart disease, slowing the aging process, and improving brain function. They contain fibre, manganese, and vitamins C and K. Blueberries also contain lutein and zeaxanthin, which are important for protecting the eyes from macular degeneration. 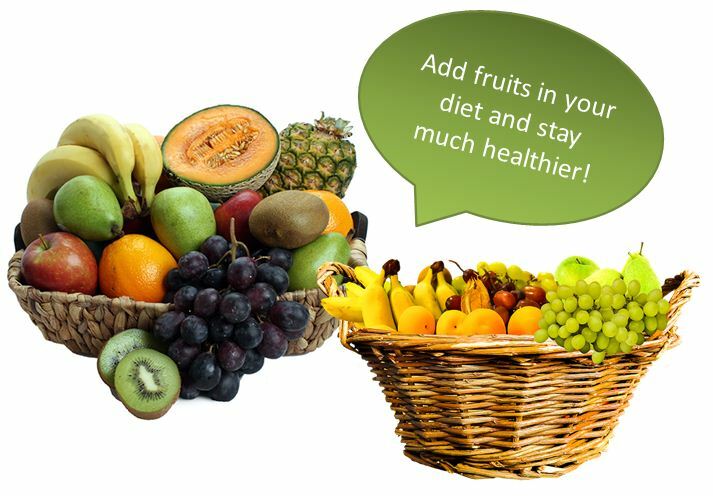 Adding a variety of fruits to your diet will increase the amount of nutrients your body receives. This will improve your health and help to prevent illness and disease, and hopefully be another prevention against allergies! Its started- fall is here! The beautiful cooler temps have started to arrive in Phoenix- and now many of us are excited to spend time outdoors. This means that many of us are turning to running, walking, hiking -rather than spending time indoors on the treadmill or at the cool air conditioned mall or movie theater! For this reason, we thought it would be important to call attention again to some negative issues that arise which many Arizonans do not realize about the outdoors. Of course, we all know how important exercise is to maintaining a healthy lifestyle. Even if it’s just a mild to moderate workout, it can provide many benefits to our health. But what happens when exercise literally leaves a person breathless? It might sound strange, but for individuals who suffer from exercise-induced asthma this can potentially impact their quality of life. As with other types of asthma, exercise-induced asthma can come in varying levels of severity, with the most severe cases keeping sufferers from exercising for more than a couple minutes at a time. As with other types of asthma, it cannot be cured; however, special treatments are available that can help sufferers live more active lives. Before talking about exercise-induced asthma, you should know a little bit about asthma. Asthma is a chronic respiratory condition that causes inflammation in the airways. We all know we need our lungs functioning optimally in order to take in the maximum amount of oxygen our bodies need. 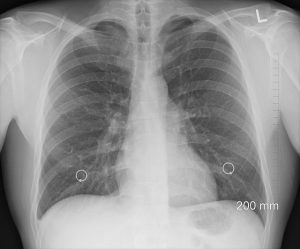 When a person has an asthma attack, the airways in their lungs become inflamed and narrowed; in addition, the cells lining the airways might increase their production of mucus, further restricting airflow. On their own, narrowed airways and mucus are not necessarily bad things. They are normal physiological processes that help us breathe more efficiently. But they function abnormally during an asthma attack, causing the sufferer to wheeze, cough, and otherwise display issues with breathing. The specific causes of asthma still aren’t really known. However, it does appear to run in families, so if you have close relatives who suffer from it you’re at a greater risk of developing it yourself. In addition, exposure to certain airborne allergens, pathogens, or other irritants at a very young age might leave certain people more vulnerable to developing it. Asthma attacks are generally brought on by exposure to certain allergens, stress, or exposure to cold or warm temperatures, with symptoms developing rapidly. Beautiful Phoenix fall weather to blame? It’s the exposure to changes in temperature that can trigger asthma attacks in people who suffer from exercise-induced asthma. Exercise-induced asthma can appear in people who otherwise have no history of asthma or other allergies. As the name suggests, attacks frequently occur when a person is exercising, especially performing more vigorous exercise in colder weather. As with other types of asthma, the airways narrow and can become filled with mucus, leading to wheezing and difficulty breathing. So why do people who suffer from exercise-induced asthma develop symptoms? It’s all in how they breathe while exercising. When a person is breathing normally, they will inhale and exhale through their nose. The air that passes through the nasal passages and into the trachea is warmed and moistened along the way. When exercising, most people begin to inhale and exhale through their mouth, where the air isn’t warmed or moistened. When that happens, the airways are exposed to the colder, drier air that is being inhaled, and they react by contracting. 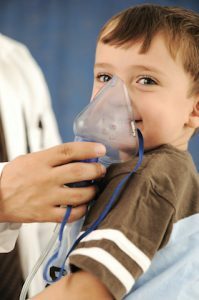 In order to determine if you, or a child suffers from exercise-induced asthma, you should see a specialist who treats asthma specifically. This is especially the case if the person has a history of asthma or other allergies. A doctor will evaluate the symptoms the person is having, discuss their exercise habits, and make a diagnosis from their findings. Once exercise-induced asthma is diagnosed, treatment that is appropriate for the patient can commence. Therapies used to treat exercise-induced asthma are similar to those that treat regular asthma, and can vary depending on the patient’s needs. Inhaled beta-2 agonists are the first line of pharmaceutical treatments for the condition, especially when combined with a corticosteroid. Regardless of the type of asthma, making sure the condition and any co-existing conditions are kept under control is key to living a full and active life. Make sure you warm up and cool down properly before and after exercising. If you are suffering from a cold, sinus infection, allergies, or other respiratory ailment, you might want to skip exercise until you’ve recovered. Exercising while sick can increase the chances of suffering an asthma attack. 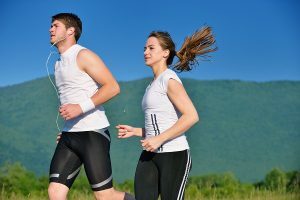 Try to avoid exercising during times of high pollen counts or high levels of other pollutants. Avoid exercising when temperatures are colder. If you must exercise outdoors when it’s colder, wear a scarf or other clothing over your mouth and nose to warm the air as you inhale. Make sure you also refrain from exercise when the weather is too hot outside. You might consider moving your daily walk or hike to the mornings or evenings, when temperatures are cooler. Some people might believe that having asthma means they’ll never be able to exercise again. That couldn’t be further from the truth! While asthma can be tricky to live with, anyone who suffers from asthma and exercise-induced asthma can still play sports and work out. Even some Olympic athletes compete while living with asthma; they’ve simply been able to keep the condition under control while they’re competing. By working closely with a board certified allergist like Dr Habib or Dr. Asaly, you can find the right therapies for your needs, –and be able to enjoy as active a lifestyle as you desire even while living with this chronic condition. If you suspect you suffer from exercise-induced asthma, Adult & Pediatric Allergy Associates is here to help. Our allergy and asthma clinics employ highly-trained staff who have the expertise to properly diagnose and treat exercise-induced asthma, as well as any other types of asthma or allergies they might encounter. If you live in Phoenix and are looking for Arizona top rated allergy/asthma clinics, please call us for an appointment today.